The ceremony was attended by George Lucas and Harrison Ford as well, who helped emcee the event. See some of the Star Wars pictures from the star reveal below! Congratulations, Mark Hamill! We can’t wait to visit your star among the galaxy of other incredible Walk of Fame inductees! 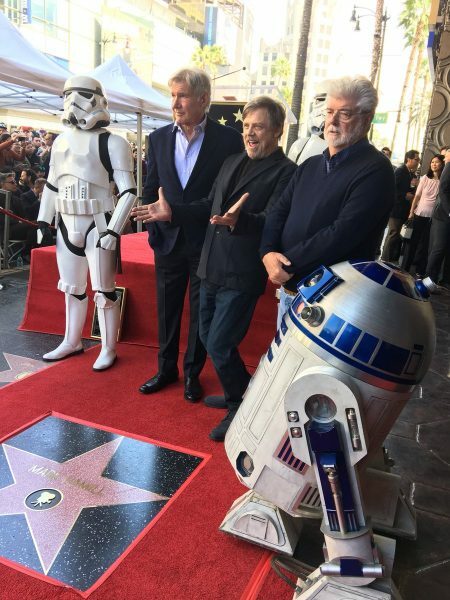 Star Wars Collectible fans, have you ever visited the Hollywood Walk of Fame? Let Your Geek SideShow and tell us in the comments! Geek Headlines- Christopher Robin, Good Omens, Legion, and More!